South Bend City Church began in 2016 when our lead pastor, Jason Miller, started sharing his vision: a new church in the heart of South Bend; a Jesus-centered community for believers and doubters, where we can ask difficult questions and wrestle with the tensions of ancient faith in a modern world; a community that values simplicity and spiritual practices in our life together; and a church that’s deeply connected to the city we love. In the fall of 2016, we began meeting on Wednesday nights to worship, pray, and study the book of Acts. We kept asking one question: what is a church? And each week, the answer we kept hearing from Acts was that the church is nothing more, and nothing less, than the expansion of Jesus’ work in the world. In our first year, we gathered at an event venue, a downtown hotel, and a convention hall. We threw a donut party on the streets of South Bend to raise awareness and funds for the cause of chronic homelessness in our city. We experimented with different ways of worshiping, learned about historic practices of faith, explored the theme of doubt within Scripture, and listened to our neighbors as we dreamed together. We set up and tore down chairs and sound equipment more times than we’d like to count. And in June 2017, we finally found a long-term home in a building with a legacy in the South Bend community and beyond: a once-abandoned Studebaker car factory. South Bend’s history is tied to the history of Studebaker cars. In the early 1900s, their success became the economic engine of our city, employing tens of thousands of people. In the early 1960s when Studebaker went out of business, the city suffered. 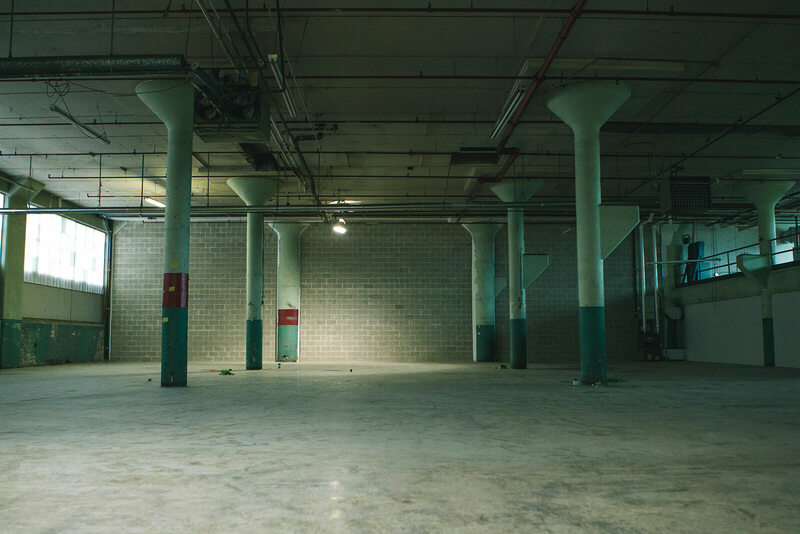 While many of the Studebaker buildings have been torn down since then, one major complex remains, and we’ve planted our church on part of that old factory floor. That complex (all 1.5 million square feet of it) is now the center of the Renaissance District. It’s being redeveloped with a new vision for a high-tech, mixed-use hub, and it’s part of a larger resurgence of innovation, economics, and culture happening in South Bend. In 2010, Newsweek Magazine called South Bend one of the 10 Most Dying Cities in America, but today South Bend is being recognized as an emerging model of rust-belt city revitalization. 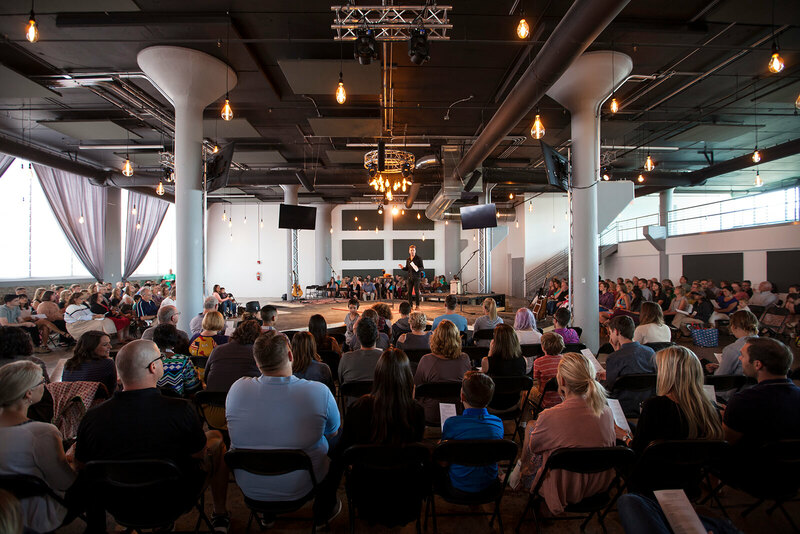 In June of 2017, we gathered for the first time in our new space in Building 112 of the old Studebaker factory. We’re so grateful to have a home in one of our city’s most historic buildings, tied to its history and part of its future. We’re an independent, non­denominational church. We trust the Bible as it points us to Jesus, and we trust the Apostles’ Creed as a guiding interpretation of what it teaches. Our core group has grown into a church of more than 500, and we know that God is just getting started.